Check the stage of the competition - If there are more than 12 participants, cup always starts from Qualifiers. Check the group you are in. Contact the host and start playing. You can find the lobby settings in rule 2.1 and all it's subpoints. This cup is held in our forums. For more information please read the rules. In total, there will be 16 players invited to the offline event: 12 through EU qualifiers + 4 players from a separate Austrian only qualifier (2 on PC + 2 on PS4). The invited players will then travel to Austria, and fight for a prize pool of 15.000€ ! The offline finals will be held on one between the 19th and 21st October. An exact day on which the finals will be held is not safe yet, at best keep the 19th-21st free in your schedule. 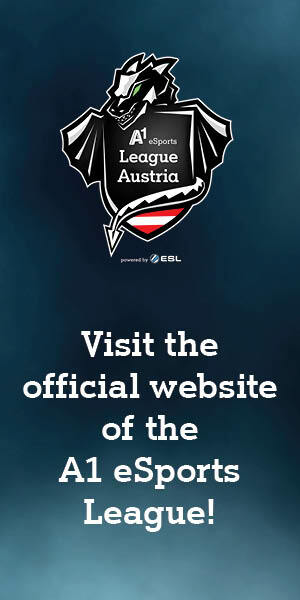 Please only sign up if you are able to attend the event in Austria! If you qualify for the event, but are unable to attend it, you will be disqualified from the competition. We're delighted to help you in everything possible! If you have any problem, question or suggestion you can contact us by sending a Support Ticket or through any other means shown below.